Original lacquer shows signs of wear. Wear consistent with age and use. Minor losses. A rare toad stool table designed by Edward Wormley for Dunbar. 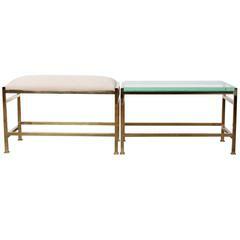 A brass bench with upholstered leather top and matching brass table with glass top. Designed by Edward Wormley for Dunbar. Priced and sold separately. 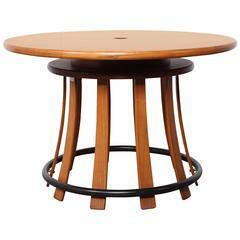 Edward Wormley design occasional table for Dunbar model #5647. 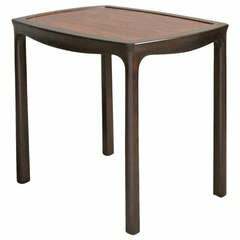 Featuring a Murano inlaid tile top on a walnut frame, elegant and sophisticated table. Sold individually.